Conjunctival melanoma in situ (biopsy proven). Malignant cancers can grow on the surface of the eye. They usually start from the membrane that covers most of the eye called the conjunctiva. The most common conjunctival cancers are squamous carcinoma, malignant melanoma and lymphoma. Malignant melanoma used to be called PAM with atypia, but the newest AJCC staging system authors suggest we stop using the term PAM with atypia and call it melanoma in situ. This was because PAM with atypia doesn’t define it as a cancer. Pathologists call these specimens Tumor in situ or Tis. Squamous carcinoma of the conjunctiva can form a nodule or diffusely spread out over the surface of the eye. Only very large squamous conjunctival cancers and those in patients who are immunosuppressed metastasize to other parts of the body. But they can invade into and around the eye, into the orbit and sinuses. Malignant melanoma can start as a conjunctival nevus, arise as newly formed pigmentation (or variably pigmented) within the conjunctiva or onto the cornea. A simple biopsy can determine whether a pigmented conjunctival tumor is a benign nevus, primary acquired melanosis, or conjunctival melanoma. Lymphoma can also occur in the conjunctiva. These tumors look like red or salmon-colored patches on the eye and can be the first sign of systemic lymphoma. Eye cancer specialists usually biopsy lymphoid tumors so that a pathologist can perform special immunologic and genetic studies on the tumor cells. These techniques are used to determine if the tumor is benign or malignant. Patients with lymphoid conjunctival tumors should have a complete medical check up and be examined by a hematologist-oncologist. Other “less common” conjunctival cancers are reviewed in this section. Most conjunctival tumors do not cause symptoms. 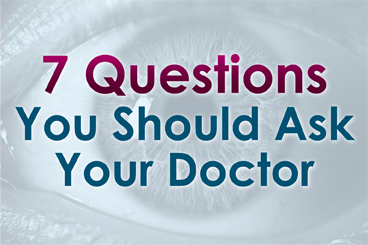 Patients typically seek medical attention because they notice a discoloration on the eye or extension of the tumor onto the cornea. Conjunctival tumors can also be found by an eye care specialist during a routine eye examination. Most small benign-appearing conjunctival tumors can be photographed and followed for evidence of growth prior to biopsy or treatment. If they are raised, hypervascular or extend onto the cornea a biopsy is more reasonable. At The New York Eye Cancer Center we typically obtain an office-based cytology specimen for squamous carcinoma. This lets us know the tumor is squamous and avoids a trip to the operating room. In contrast, both melanoma and lymphoma require more histopathology and special pathology analysis. Therefore, those tumors require surgical biopsy or if small, excision. Conjunctival melanomas require special treatment. The natural history of these tumors has been characterized as presenting with multiple tumors or non-pigmented skip areas. Therefore, it is difficult and some think impossible to define the extent of the tumor on clinical examination. The natural skip areas of pigmentation, multifocal presentation and high rates of recurrence have led some eye cancer specialists think that handling conjunctival melanoma promotes spread. They fear that tumor cells get stuck on the instruments that if reused, implant tumor on other, unaffected parts of the globe. However, Dr. Finger disagrees with this theory and its so called “no touch technique” that requires surgeons to get new instruments after each time they touch the tumor (to prevent transplantation). However, there are no other cancers where surgeon-related transplantation has been found. More likely, these eye cancer specialists operate on one area, thinking that the pigmented portion of the tumor is the complete extent of disease. Unaware, there are other non-pigmented or small tumors that are not yet visible and later grow. Then they think they transplanted the tumor. At The New York Eye Cancer Center, when conjunctival melanoma is suspected, Dr. Finger utilizes his specially designed cryotherapy devices “Finger-tip” cryotherapy probes” to make sure the tumor and a surround of normal appearing tissue is treated before he touches the tumor. Then the tumor can be safely removed without fear of transporting tumor cells or invaginating the edges of the wound rendering tumor too deep to treat with chemotherapy eye drops. At The New York Eye Cancer Center, topical chemotherapy eye drops are used for treatment of both squamous and melanoma cancers. These drops have been found to reduce or more commonly eliminate the need for extensive surgery. Evaluation of the biopsy specimen should be performed by an experienced ophthalmic pathologist. If there isn’t an ophthalmic pathologist in your area, you can request that the histopathology slides be sent for second opinion. Small tumors can be completely removed, and if they are found to be either squamous carcinoma or malignant melanoma, additional cryotherapy (freezing) is likely to improve local tumor destruction and thus prevent recurrence. Dr. Finger has developed specialized “Finger-tip” cryotherapy probes to uniformly freeze large surfaces of the eye with minimal intraocular penetration (see innovations section). Conjunctival melanoma and squamous carcinoma can be difficult to treat if they are “mulitfocal” – occur in multiple spots on the eye. In these cases, even surgical removal with freezing therapy may not control the tumor. Dr. Finger has found that “Chemotherapy eye-drops can be used for and are often better than surgery for most patients with conjunctival cancers.” Chemotherapy eye-drops treat the entire surface of the eye, are less dependent upon defining the tumors edges, and decreases the chance of scarring (symblepharon) after surgery. Researchers at The New York Eye Cancer Center recently published on treatment of “Giant Conjunctival Squamous Carcinoma’ with chemotherapy eye drops alone (no surgery). Systemic lymphoma can usually be treated with standard chemotherapy that is also likely to cure malignant ocular lymphomas. If the eye is the only site of malignant lymphoma, low dose external beam radiation therapy is commonly employed.